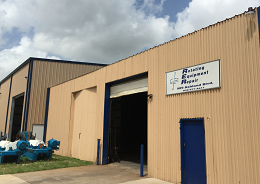 ﻿ Rotating Equipment Repair LLC - Centrifuge Repair Specialists. We are a small and focused business with a goal of providing excellent technical centrifuge expertise as a value alternative to the other less responsive guys. Our experience dates back to 1990. Fred Rivas, formerly of Hutchison Hayes Separation, and Chris Coronado, formerly of Shell Oil, have assembled a dedicated team to support our specialization in centrifuge repair. We are insured and have hazardous and control application certifications. Call us today and see why companies are switching to RER. Copyright ©2010 Rotating Equipment Repair, LLC. Contact us at info@rernet.com or click here to send a note. Phone 832-577-4411.